Blog Are parents forgotten in council animal management planning? Are parents being forgotten in council animal management planning? I am a mum, dog owner and a dog trainer. I know how important it is to exercise my dogs and to get out of the house with a toddler. I am also a single mum, leaving all this on my own to do list. There are many rules that come with urban animal management that I agree with, dogs should definitely be on lead in the street, dogs should not be allowed off lead near children’s play grounds. There is one that I think was overlooked – kids should not be in dog parks. Let’s think about why. We know that dogs can get over aroused around children. This is why dogs aren’t near play grounds. Their high pitched squeals and running around is not safe with dogs around. Even if your dog is fine with your kids, it doesn’t mean he will be ok around unknown kids, especially a group of unknown kids. So why would a parent feel safe taking their child into a dog park? 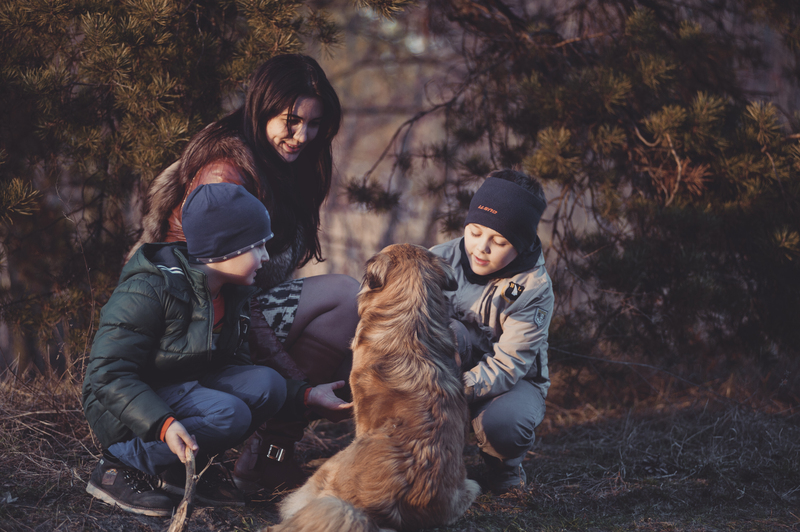 We don’t know if the dogs inside are socialised with children, but as above, even if they are doesn’t mean they will be ok. Plus even if they aren’t going to bite a child there’s still a huge risk of knocking over during a fast run. I know 2 adults that have both sustained broken legs from dogs running into them. Imagine it was a 5yo. I leave dog parks to others, you won’t see me there. So where to exercise my dogs, while having my toddler with me. Well this is my dilemma and I’m sure I’m not the only one. In my council we have a lot of tight rules, most of our regular parks and ovals have rules like the metro beaches in summer. On lead from 8.30am-6.30pm. I do wonder who came up with these times. These rules all came in after the dog attack in Bonython Park years ago. They are designed to keep kids safe. So while kids are in school dogs are on lead. While kids are out playing sport on the same ovals, dogs are off – think someone overlooked this. These times with a toddler are also hard to stick to. By time my night owl wakes up and has breakfast the time is over. In the evening it’s dark and I’m getting the toddler fed and washed and calming before bedtime. Where to run the dogs? So I’m often chucking everyone in the car to drive to parks outside my council area during the day. I find parks with relaxed rules where there are no other dogs or kids so my lot can all have some fun. I don’t have an answer for the councils. I think that parents do need somewhere to go with their dogs and kids. But at the same time listing a park as kids and dog friendly would result in me dodging it as there would be increased risks and chances are some idiot would take their highly aroused stressed dog around kids to “socialise” it. I do like the idea of private dog parks. These are available in other countries. You pay a membership and there are enforced rules. You can’t enter if someone else’s inside without their permission is my favourite. Allows parents to exercise their dogs and also people with dog reactive dogs to also get them out. Hopefully this is something we see in future.